For windows or door gates, wrought iron or aluminum grilles are the more common choices to ensure security in our home or office premises. The question herein is which one is better? Wrought iron grilles seem like the better choice as they provide more hardness and weight to ward off any intruders. What about for beauty sake, do we need to stick on to the rule of enforcing harness and weight in the designing and installing of such grilles? Wrought aluminum has a lighter touch than solid wrought iron grilles. But craftsmanship nowadays will make such differences becoming more irrelevant. Thus when we decide which material to use for window or door grilles, the most interesting part of it should still be the designing and the implementation of your selected or custom-made grilles. Wrought aluminum grilles are lighter, but durable for home protection, the powder coating enable them to be anti-rust and long-lasting. The price is lower than wrought iron grilles, so it all boils down to how much you would like to spend. 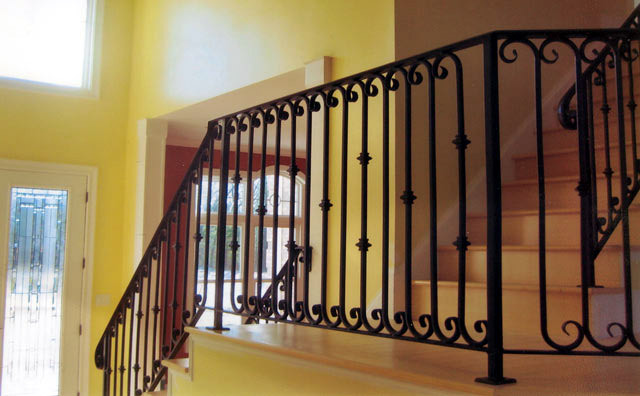 For wrought iron grilles, do check whether they will corrode fast if they are not galvanized for that purpose. If you have to touch them by your hands, you would not want to feel the rust all over your hands or seeing dropping bits from the grilles creating unsightly scenes. If you are more on security for your home or office premises, then think no more to select wrought iron grilles, or else if you just want something nice and could provide a good enough shield, or simply preventing accidental falls for installing window grilles, then wrought aluminum grilles would be perfect for budget conscious clients. If you are not even thinking of any above, then go straight to select your favourite designs. Check on other things like the cost and how long it would take to install or customize. And of course the maintenance part of it, do they corrode easily, stuff like that. For designs on wrought or aluminium grilles, you’ll be mesmerized by the vast selections, so do spend more time on that if either wrought or aluminium grilles are all right for you. In short, both wrought iron and aluminum grilles are good, and it depends on your preference. If you want more hardness for safety reasons so that you can sleep well without worrying about burglars entering your house easily, choose wrought iron grilles. If you think wrought aluminum grilles look more pleasant and also cheaper, then you have made the right decision. If you don’t belong to either of the categories, well then you need only to focus on the lovely designs that are in store for you.